It's that time of year again: San Diego Comic Con. One of the biggest events, if not THE biggest event, for pop culture. This is one of our biggest shows we do every year and we're so glad you're here to join us for it. This event was so massive, if you don't see a story you think we should have covered; make sure you comment below a link and we'll do a YouTube response to it! Our first of three guests for these episodes is Kira Scarlett. Ms. Scarlett is a New York based cosplay who has appeared previously on our show. She works in mental health by day and dresses up as your favorite characters in pop culture by night. We highly recommend you check out her first appearance on the show to hear her talk more about mental health. Kira Scarlett Social Media. We got our first glimpse into Titans, the dark reimagining of Robin's surrogate family, Titans. This episode expands our thoughts from our trailer reaction video we previously did. If you've missed it, check it out below. 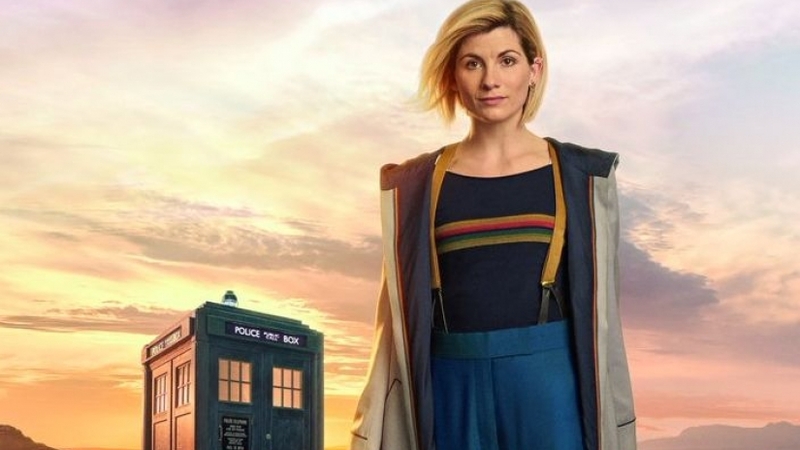 We got our first glimpse into the new Doctor of Doctor Who. Jodi Whittaker serves as the first female in the show's history to play the iconic doctor. First look at the upcoming revival of the Star Wars: The Clone Wars. The series is set to return next year on the Disney streaming service. Little about the show is known. Part one of his two part appearance on our show for Simply San Diego. Joshua Howell is no stranger to our show. Having previously appeared on our show three times to talk creative process, mass suicides and more. Not to mention him welcoming us for a partnership in 2017 to do New York Comic Con with him. To check out more about Josh, his book, social media and upcoming conventions, click here for his official website. The sequel to Unbreakable & Split is here with its' beautiful first look. Much like, Titans, we're expanding our thoughts from our trailer reaction video (which you can see below). Make sure you guys leave some comments on what you thought of these trailers and stories. If we missed something you want us to comment on to, make sure you guys leave us links below. More importantly, if you or someone you know is struggling with suicide, depression, self-harm or addiction, please feel free to reach out, use any of our resources, call the suicide life line: 1-800-273-8255 or text 741-741. Music by Logan McElroy & Shawn Davis. The X-Files are property of Fox, we do not own or claim any rights to them. The Flash, Man of Steel, Batman/Joker: Deadly Duo & Titans are property of Warner Bros & DC Comics, we do not own or claim any rights to them. Doctor Who is property of BBC, we do not own or claim any rights to them. Star Wars: The Clone Wars is property of Disney & Lucas Film, we do not own or claim any rights to them. Joshua Howell photography is property of Joshua Howell, we do not own or claim any rights. Kira Scarlett photography is property of Kira Scarlett Cosplay,we do not own or claim any rights. Jon Schnepp photography is property of here, we do not claim any rights to it. Glass is property of Universal Pictures, we do not own or claim any rights. Batman/Joker quote from Silvestri is taken from the article on Comic Book Resources, linked above.